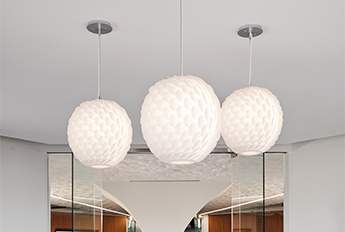 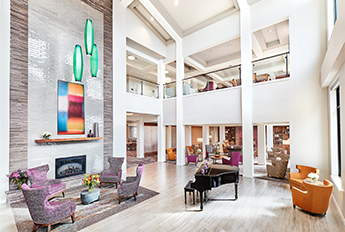 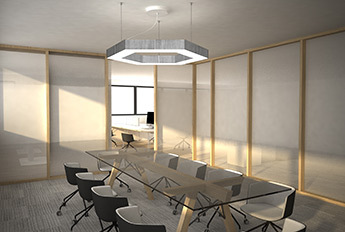 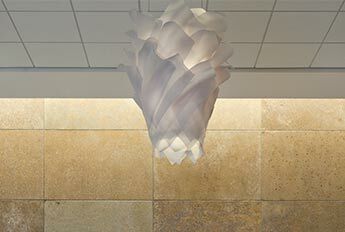 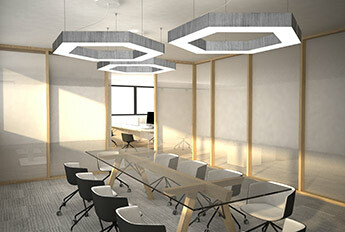 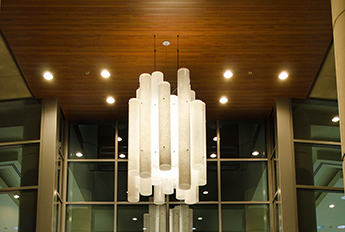 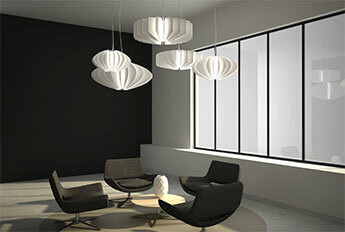 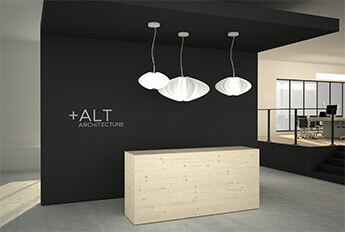 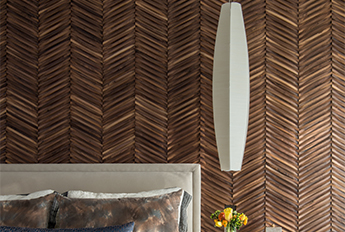 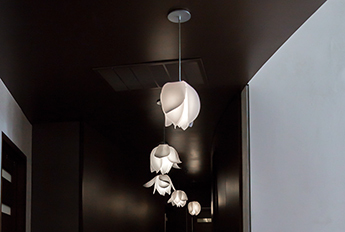 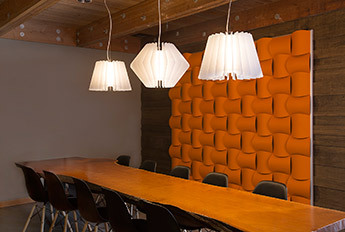 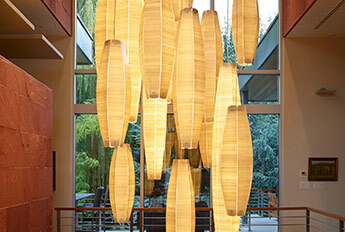 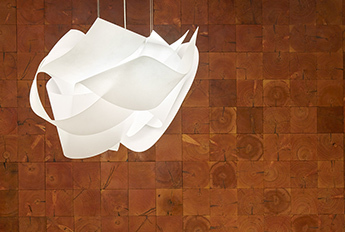 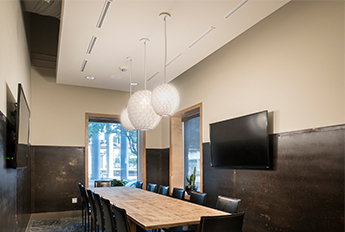 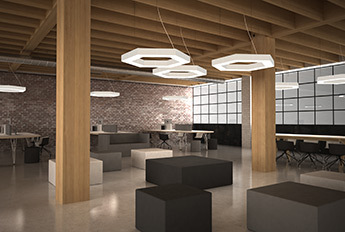 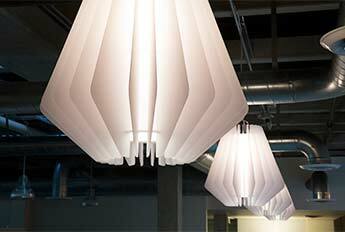 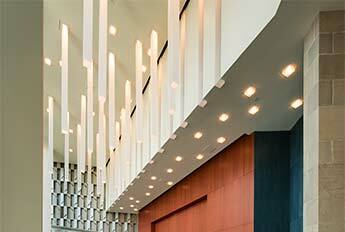 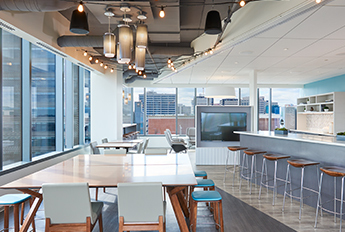 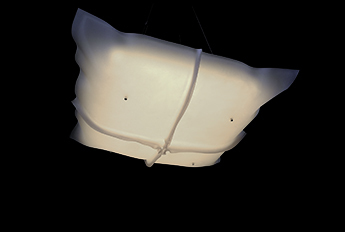 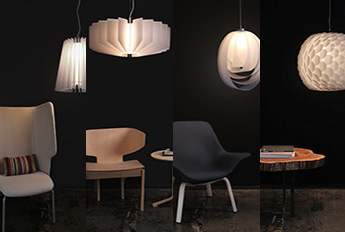 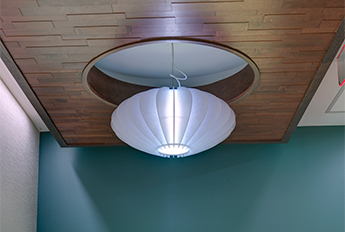 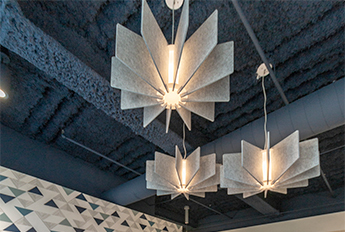 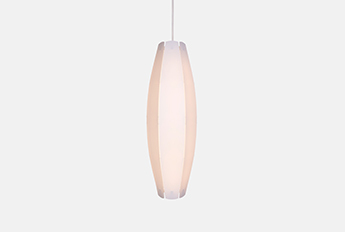 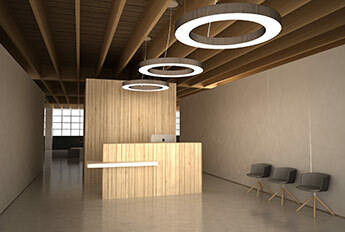 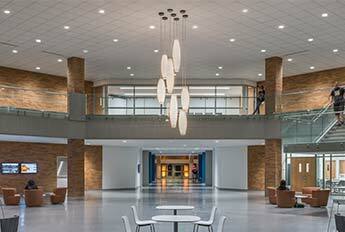 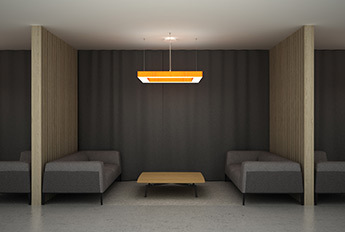 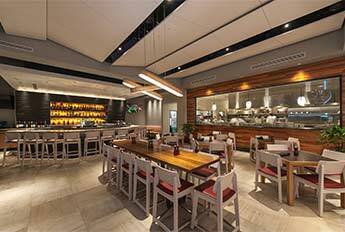 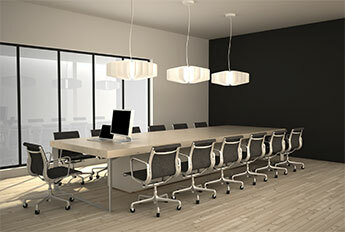 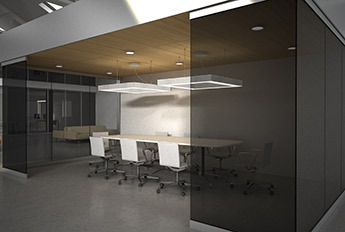 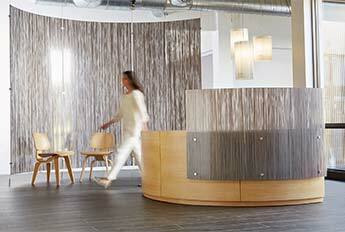 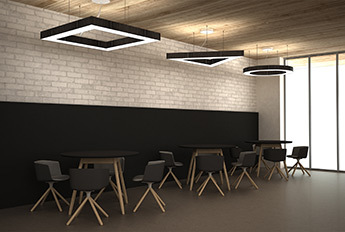 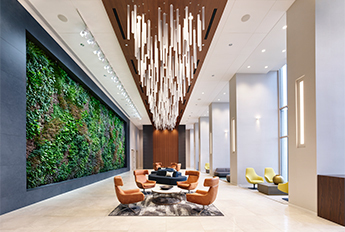 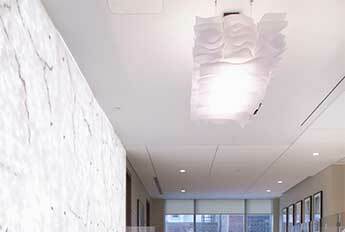 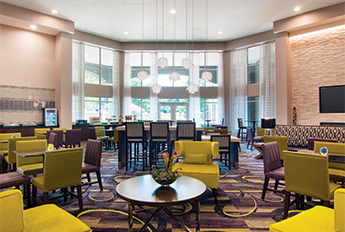 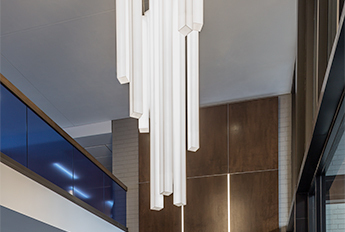 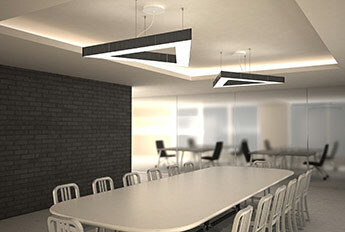 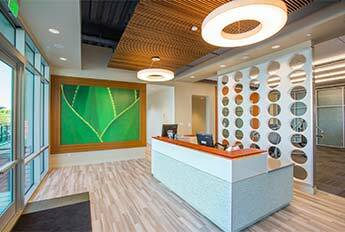 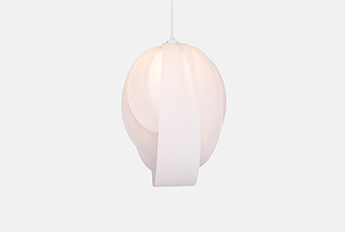 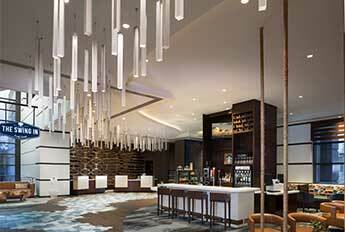 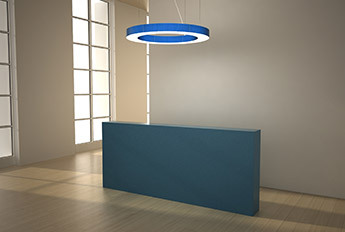 The Contour Cigar pendant is a great solution for entryway or lobby spaces. 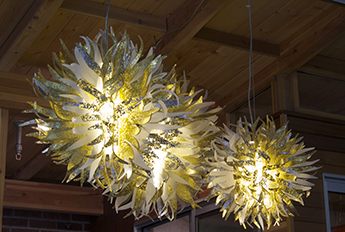 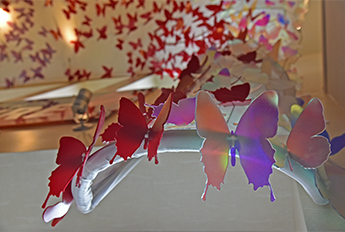 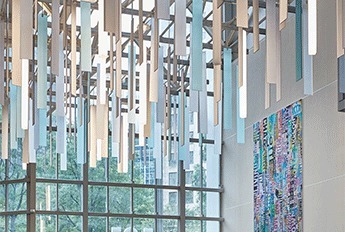 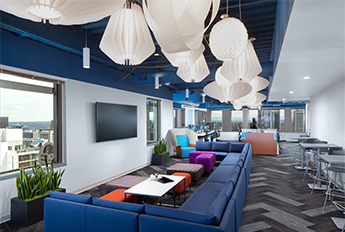 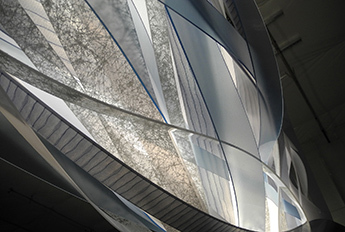 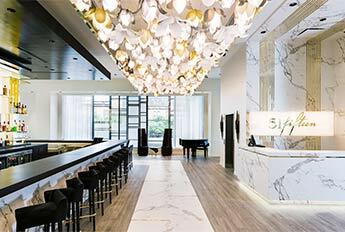 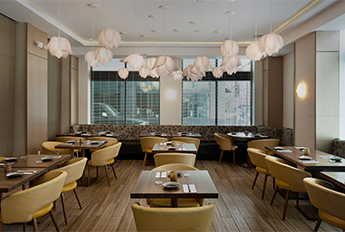 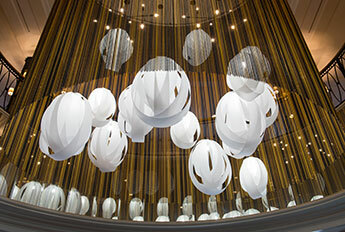 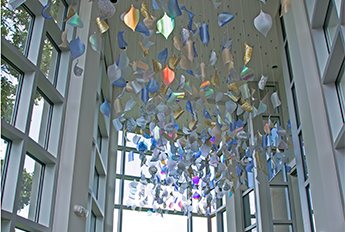 Clustered together they create a striking installation. 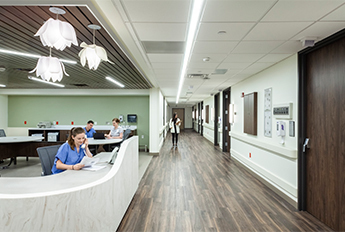 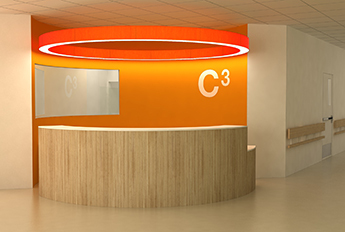 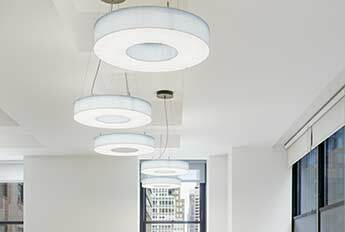 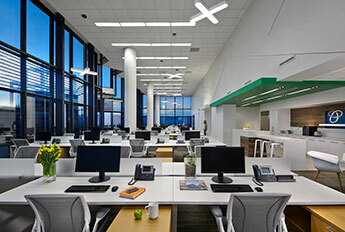 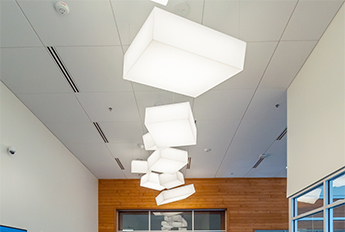 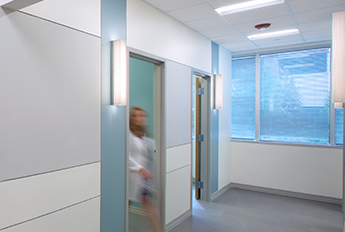 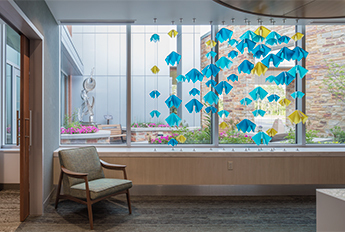 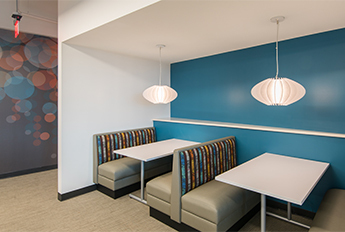 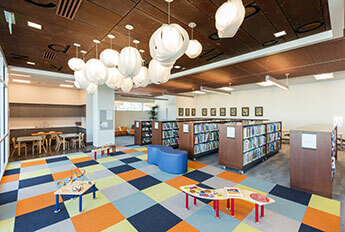 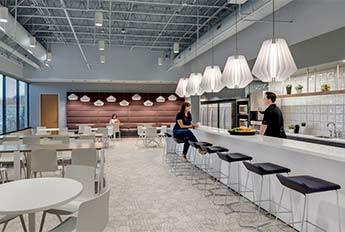 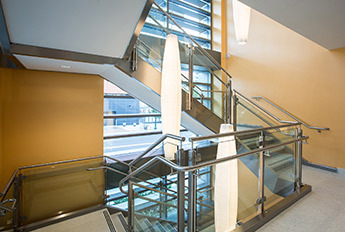 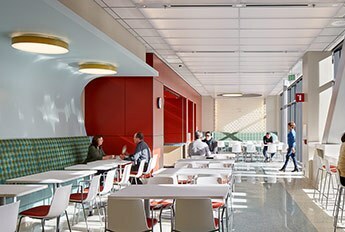 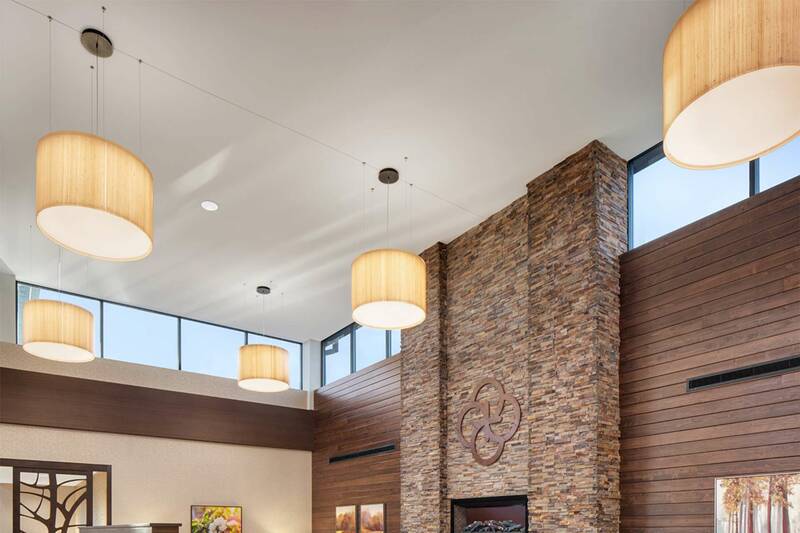 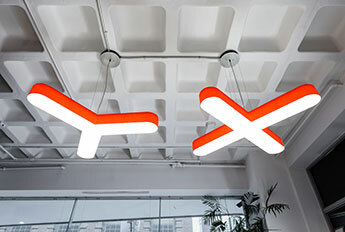 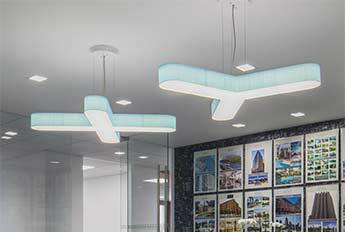 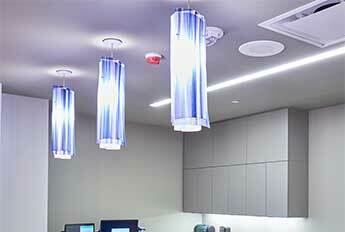 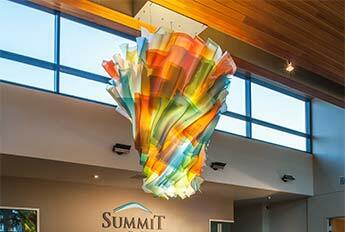 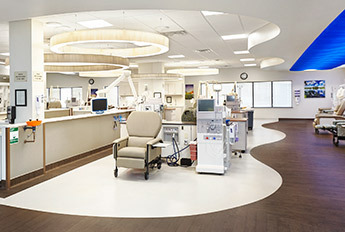 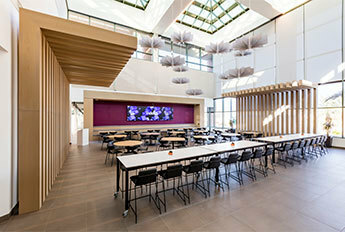 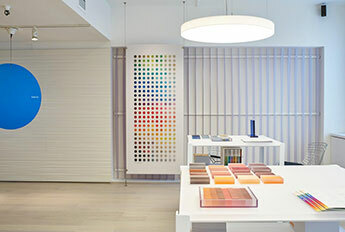 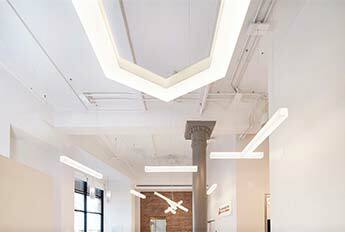 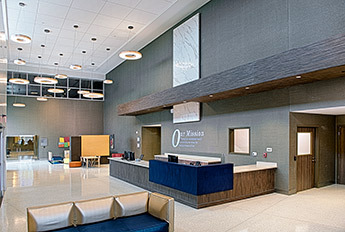 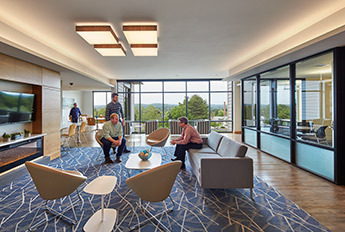 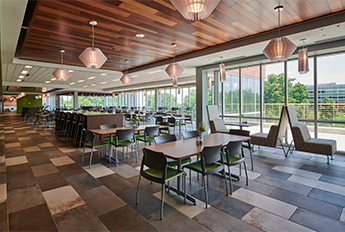 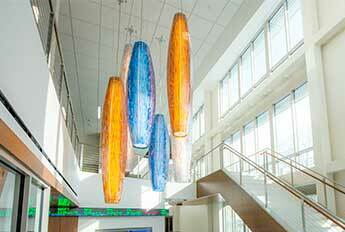 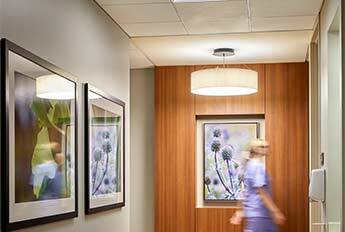 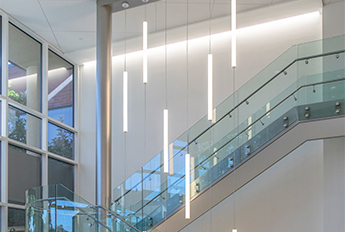 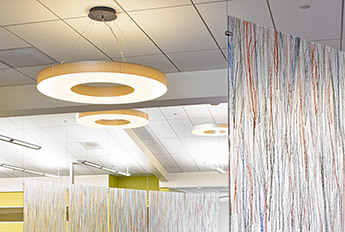 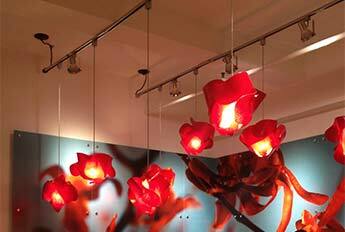 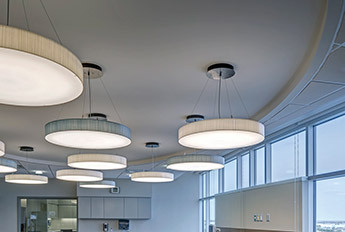 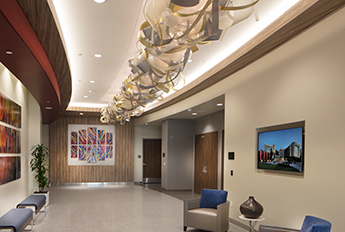 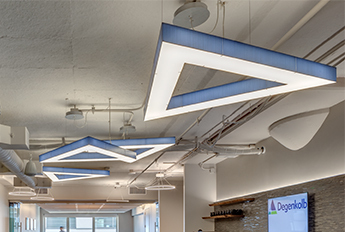 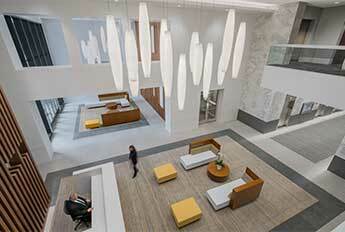 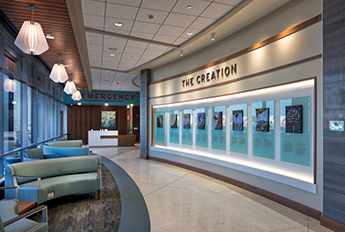 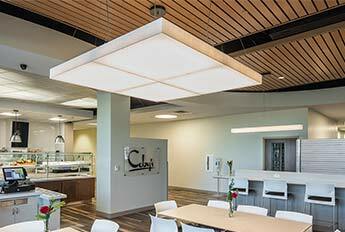 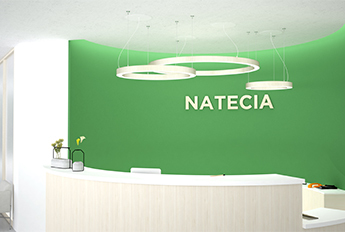 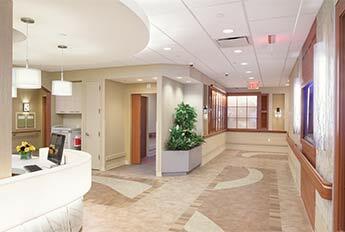 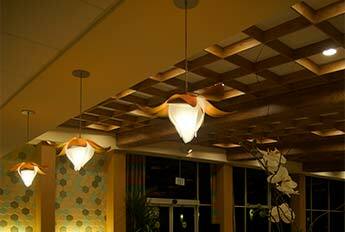 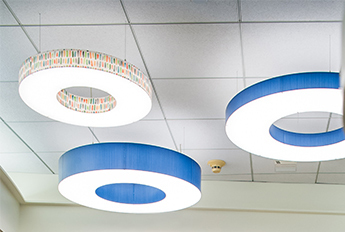 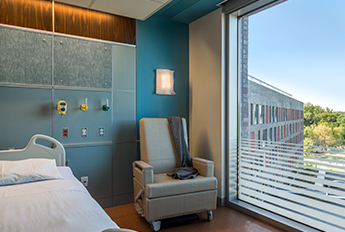 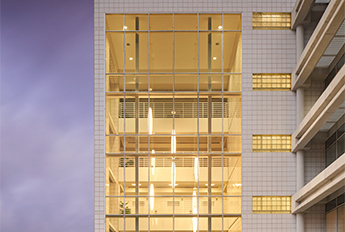 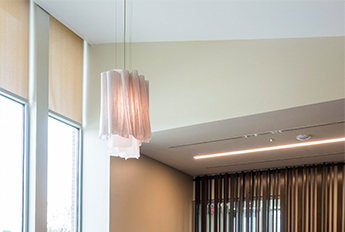 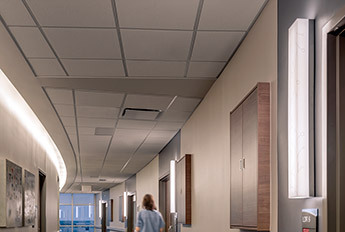 Seen in a healthcare facility, the large Cigars add interesting design detail while providing soft illumination.